I don’t know about you, but I wasn’t prepared for how quickly the holidays have begun approaching. As I type this, we’re just over a month and a half away from Christmas…how did that happen? The older I get, the faster time seems to go. Does anyone else feel that way? Anyways, in honor of the rapidly approaching holiday season, I wanted to put together another gift guide for bloggers. 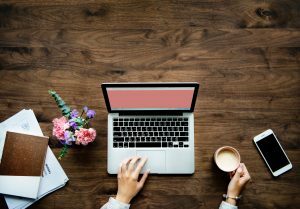 Blogging is rewarding because it allows you to connect with people from all over the world and share your ideas, advice, and experience with them. 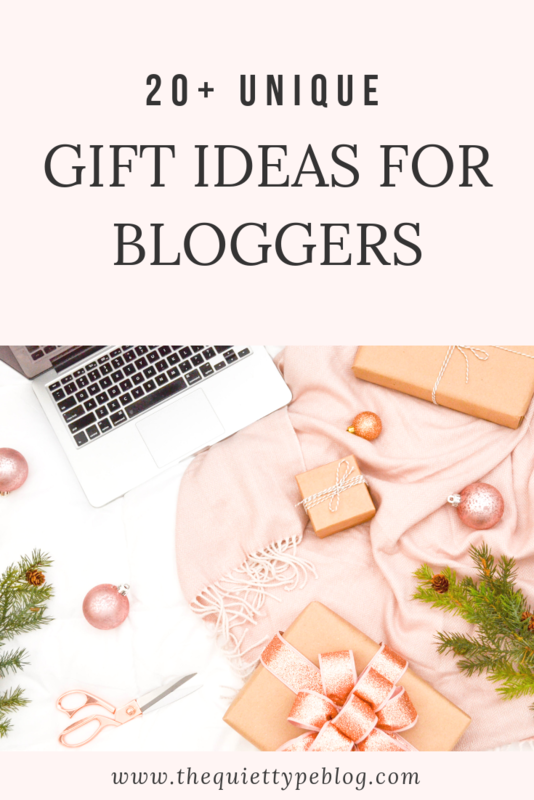 While starting and maintaining a blog are relatively low cost, there are some expenses that can begin to add up over time, so I’ve included a mix of useful gifts as well as more fun options in this gift guide. I’ve tried to include links to specific products I’ve tried and loved as well as examples to give you a little inspiration while picking out a gift for a blogger. Just an FYI, some of the links are affiliate links so if you make a purchase using my link, I may receive a small commission at no extra cost to you. 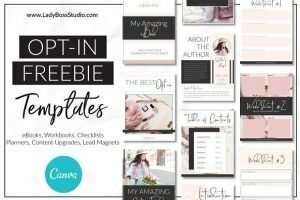 A stock photo membership makes a great gift for a blogger because stock photos can be used in so many ways. 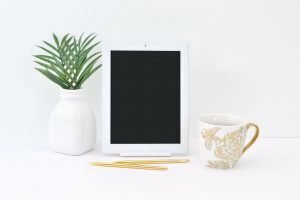 While it’s possible to find free stock photos online or even through the mailing list of a stock photo membership website, having exclusive access to the member’s only library helps bloggers create unique images. Two of my favorite places to get stock photos are Pixistock and Ivory Mix. They both offer affordable memberships and are perfect for creative entrepreneurs. Check out my post on how to use stock photos for more information on stock photo memberships from Pixistock and Ivory Mix. Dedicated bloggers often have a game plan to make money from blogging, so learning the ins and outs is important. When it comes to social media, affiliate marketing, and driving traffic to our websites, there’s so much to learn. 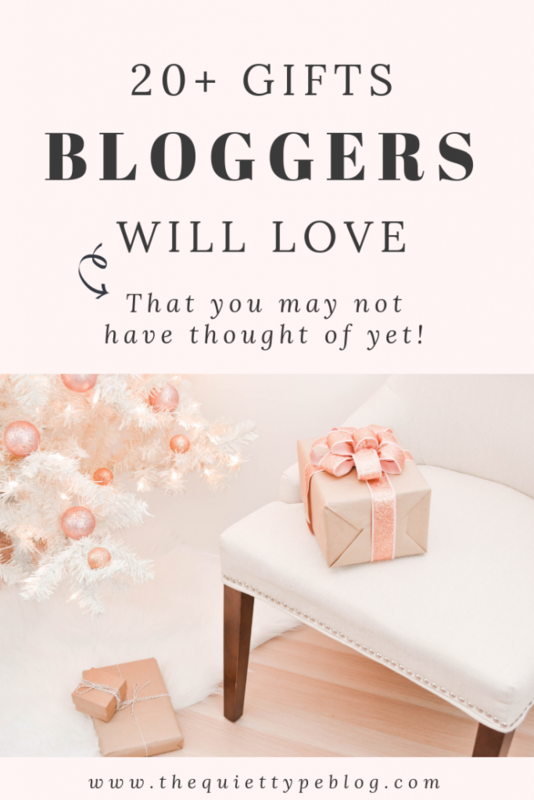 Online courses and eBooks offered by pro bloggers are awesome resources but the cost can add up over time, so they make a great gift for a blogger. Here are some of the best courses I’ve taken and eBooks I’ve read since I started blogging. 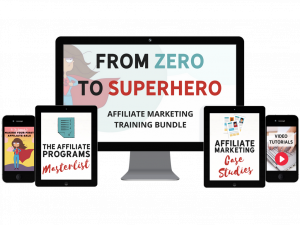 Psst…You can get $5 off the Affiliate Marketing Bundle or the Boosting Your Blog Traffic eBook using the code TSA5OFF at checkout! Not sure what kind of course would make a good gift for a blogger? Purchase a membership on SkillShare for just $8.95/month and they’ll have instant access to over 24,000 classes. It may seem a little gimmicky, but themed clothing can make a fun gift for a blogger. Since bloggers spend a lot of time at their desk writing, the comfier the better! Check out these cute options from Blogging Mode and get $5 off your order using this link. In my opinion, books are one of the best books anyone can get. 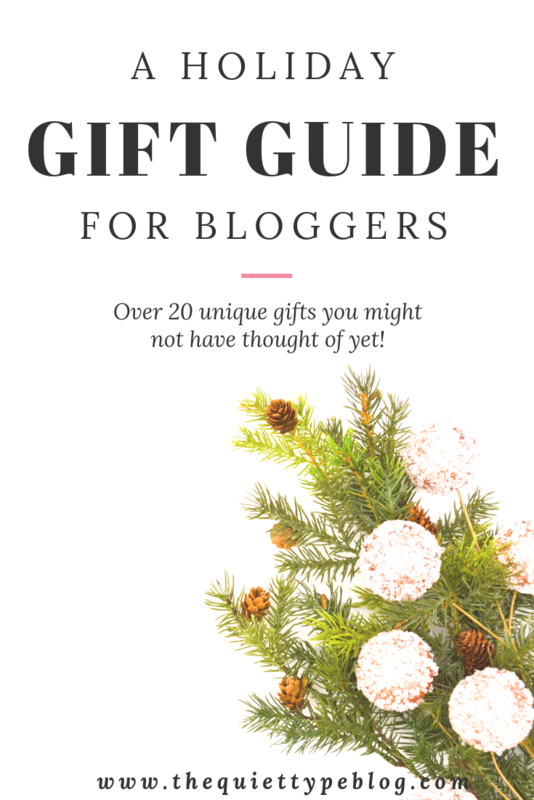 Books geared towards creative types and entrepreneurs will make you a winner when picking a gift for a blogger! For more recommendations, check out my posts 5 Books for Creative Entrepreneurs and 4 (More) Books for Creative Entrepreneurs. Staying organized is essential to living your best blogger life and the easiest way to plan out your schedule and tasks is with the perfect planner. I have two favorites that I just love and recommend to pretty much everyone. 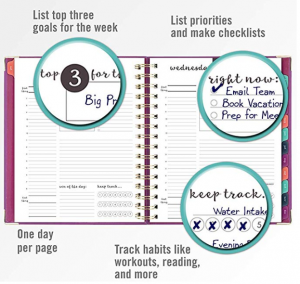 The first is the daily planner from At-A-Glance. Each day has it’s own dedicated full page and has a spot to write down appointments, your top three tasks for the day, and a to-do list section. It even has extra space to write notes or whatever you need as well as a “win of the day” section and a tracker. My other favorite is The Freedom Journal which is the perfect gift for a blogger with big goals (especially if they want to blog full-time one day). The journal is designed to help people set SMART goals and achieve them within 100 days through accountability using daily to-do lists, 10 day sprints, and quarterly reviews. Not to mention its beautiful journal, too! It’s hardcover, vegan leather bound, and has pretty gold foiled pages. Best part, when you purchase a Freedom Journal, you get a discount on all future orders and access to free PDF downloads of the pages. Web hosting is a really cool gift for a blogger! If they already have a hosting plan, consider renewing it for them, or purchase a new hosting plan for their next blogging endeavor. Either way, web hosting makes a great gift! Check out SiteGround and get web hosting for as little as $3.95/month. I host all of my websites through SiteGround and couldn’t be happier with the service. I even transferred one of them from a different host to SiteGround and the process was so simple. It goes without saying bloggers spend a lot of time at their desk! Why not make working from home much more comfortable with a stylish new desk chair? 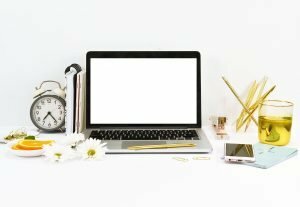 Bloggers like to change up their WordPress themes every once in a while so a new theme would make an awesome gift for a blogger because it would save them a little cash while refreshing their blog. 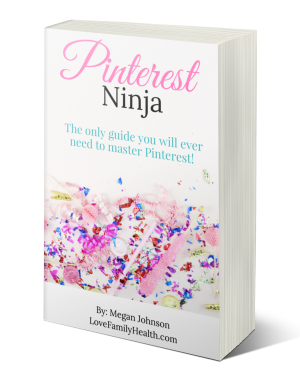 They all offer beautiful themes that can be customized to suit a blogger’s needs. The best deal comes from Elegant Themes because for just $89 you get access to all 87 of their themes. They’re also the creators of the super popular Divi and Extra themes, which lets user’s design their website from the ground up. Whether the blogger in your life prefers coffee or tea, cute mugs are always a win! Grab a mug with a phrase about blogging, a funny pun, or cute design like the ones below. Making graphics for social media is a time consuming task but templates are a big help! 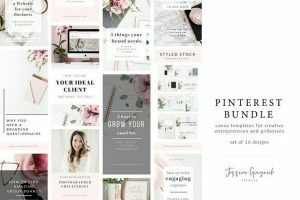 A wonderful gift for a blogger is social media templates, opt-in templates, or even credits to Creative Market to pick out the exact template they need. A Camera or photography backdrops for professional quality social media and blog photos. Want even more ideas? Check out my blog post on 30+ Gift Ideas for Writers! If someone said they’d buy you a blogging gift, what would you ask for? Did it make the list? PS, don’t forget to share this post! What a clever topic! You are right, these are gifts bloggers would love. I am going to update my wish list. Thank you.